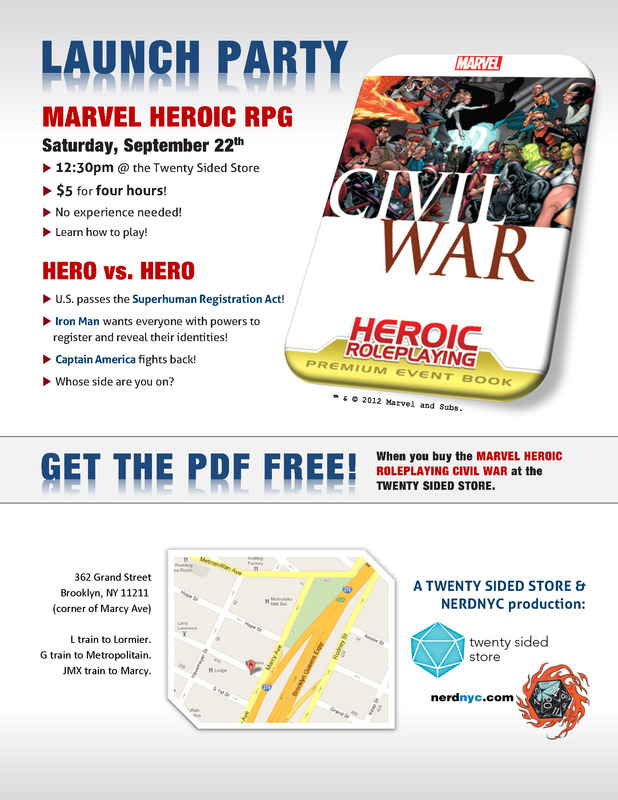 Marvel Heroic Civil War Launch Party! - U.S. passes the Superhuman Registration Act! - Iron Man wants everyone with powers to register and reveal their identities! - Captain America fights back! 44 Games Submitted so far... Recess 10/8/11! New gaming event: D.B.A.G.S. on Dec. 1st!